I honestly don’t understand it. In the last 4-5 years, I’ve been involved in interviewing maybe twenty people. It’s not a normal part of what I do until we need someone for a position. Normally, as part of a three-person panel, we’ve interviewed people for jobs that would provide comfortable livings. Good jobs by most any standards. They won’t make you rich, but they pay well, and have great benefits with a company that cares about work-life balance. Out of those twenty people, there are only three of them that I could tell you with confidence spent more than five minutes doing any research on “how to interview for a job.” Out of those three, one was excellent, one was pretty good, and the other was enough to get the job. I just googled “How to interview” and got 892,000,000 results. The third one was from Monster.com., titled “10 Tips to Boost Your Interview Skills.” Here they are, just the list without the embellishment. Dressed like they got up, grabbed the first thing they had, as if they were going shopping, and came in for the interview. Leaned back in their chairs like they were at someone’s kitchen table. Talked over my boss when she was trying to ask a question. Were unable to key in on non-verbal cues they were being given. Were unable to answer the job-specific questions without mentioning industry terms that would have indicated they knew what they were talking about. Talked too much. Learn to shut up. Talked too much. Yes, I put this in twice for a reason. Answer the question, embellish a little, pay attention to cues, and learn to know when to shut up. If you can’t shut up when you should be trying to make a good impression, I can’t imagine what you’ll be like on a normal day. Tried to answer every question before it was done being asked. 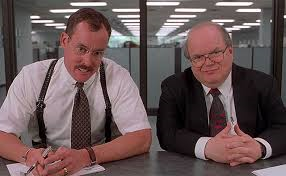 I’ve had interviewees bad-mouth former employers, which is about rule#1 no-no in the interview process. For me, it’s not even that you bad-mouthed former employers, but rather that you’re not even smart enough to know that you shouldn’t do that. See, that’s what it is about everyone one of these rules. No one is entitled to a job. I expect people to put the old “best foot forward” or at least act like you’ve done some preparation, and perhaps care about getting the job. Some of these people may have even made decent employees, but if I have to go with my instinct, you’re not getting the job.